Phaneroo is a dynamic, life transforming and generational impacting ministry with a vision to transform nations and the entire world with the word of God. The Greek word ‘Phaneroo’ is translated as bringing to manifestation that which existed but is not seen. Consequently, what we want to see in this generation is that Christians start bringing forth things that men never thought existed yet they did in fact exist. We understand that the visibility of the invisible things, even the Godhead is the manifestation of the sons of God for which creation groans. The Phaneroo vision entails the raising of Christians that are distinguished as sons of God; separated for the demonstration of the God life to the world and crowned with the glories of eternity. Phaneroo is an army; it is a force, sweeping across the nations, the continents and the entire globe, consuming men with the understanding of truth and who God is. Because we know that healing and the ability to perform miracles belongs to all, it also means that every Christian in their distinctive capacity ought to know how to heal, perform the miraculous and change any circumstance of their life. We are raising a generation that does not depend on a man of God for solutions but rather individuals that are solutions in themselves at their work places, in their homes, on the streets and everywhere else. If their children are ill, they do not call the pastor; they cast out sickness; if their companies are struggling, they get into their closets on their own accord and change the status quo; if they find a lame man on the street, they do not need to carry them to church to have them healed; they cause him to walk in that moment. We believe in the inherent integrity of the word to work in the lives of men, the immutability of the Counsels of God who wills and purposes in us and in the manifestation of the divine life of God in and through men. The ministry has had and continues to have unprecedented and unparalleled growth and expansion which is testimony to God’s glorious work through its ministers. 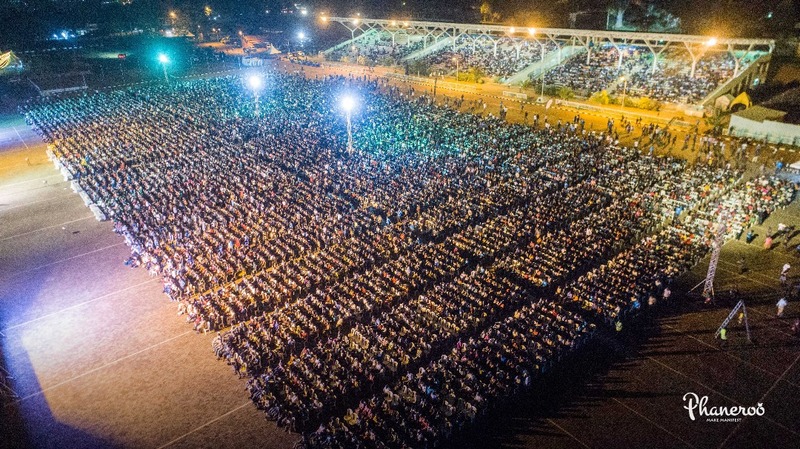 From the very first day of its launch, Phaneroo’s numbers were in the thousands and these continue to grow exceedingly by the day.We understand that these are not merely vast numbers of people but a hungry generation responding to prophesy, ‘ Behold, the days come, saith the Lord God, that I will send a famine in the land, not a famine of bread, nor a thirst for water, but of hearing the words of the Lord [Amos 8:11]. Every meeting engraves a divine and eternal mark on the hearts of its members with fervent prayer sessions, intense worship and greater depth in the word of God. The lame walk, the blind see, the dead are raised and the exceptional miracle working power of God is always and constantly at work. It gets more amazing, more dazzling, more mind-boggling and more overwhelming by the day. 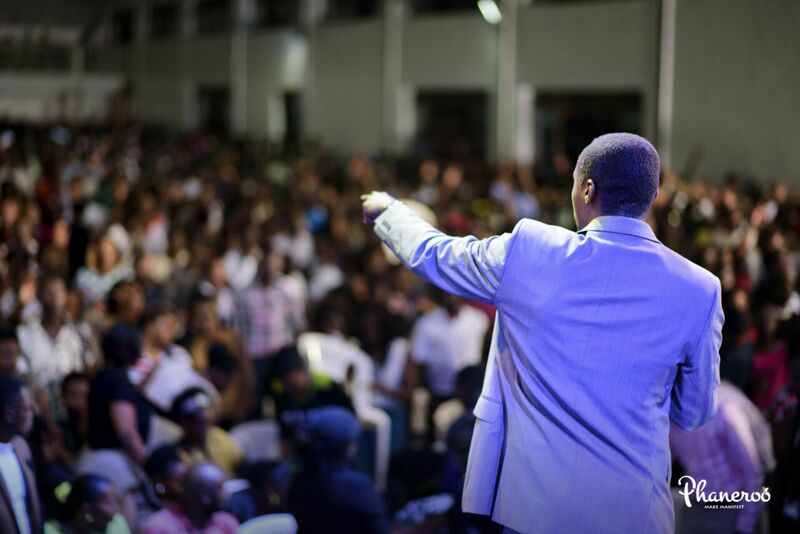 The ministry has raised and is raising anointed men and women of influence; history makers in their own right; generals of the faith, pioneers of change and trend setters for the glory of the kingdom of God. We believe to see that which no eye has seen, no ear has heard nor has entered the hearts of men but has been revealed to us by God [1 Corinthians 2:9-10]. The Phaneroo testimony and legacy is not only global but is also eternal. The world is hungry; not for food; not for water; not for pleasure but for God. We see by the eyes of the word, men run from sea to sea; from bar to bar, from job to job, from one broken marriage to another broken marriage. Even though they might not know it, their quest for true pleasure and satisfaction can only begin once they meet the God that we know and see every day. Phaneroo is an answer. It is moving like a power to be reckoned with, from the centre of Kampala Uganda, to Africa, Asia, America and the entire globe. It is changing debauched men to lovers of God; restoring marriages; altering financial stagnation; redefining indoctrinations; erasing what men have for so long defined as truth yet it was the doctrine of men, launching men into the power of the miraculous, the depths of God and the wisdoms of eternity. For Phaneroo, Kampala is too small; Uganda is too small and Africa is too small. Kampala is only a platform from which we will reach the rest of the world. We see a world hungry for the word but seeking for it in all the wrong places. We believe we are a solution and carry a divine mandate to reach out to the nations of the world. We are on the streets, in the hospitals, in the corridors of power, in the education institutions, in the media, in the fields. We are everywhere and we are there on divine assignment- to show men God.